Finding the best reflex sight for pistols is challenging. The main reason is that so many of them are flooding the market. A buyer can't just pick up the first one they see without ever knowing if it will function the way they want it to. In this article, we'll be reviewing six of these reflex sights. We encourage you to look through each one carefully and make the determination of whether or not it will fit your personal needs. 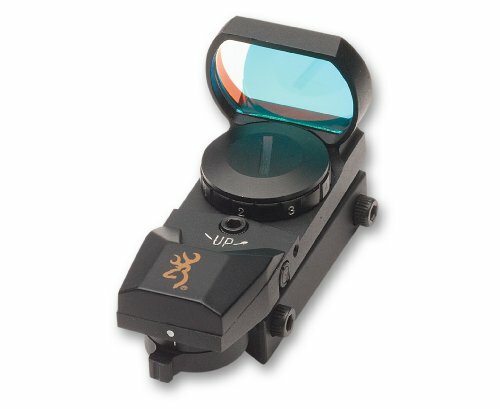 A reflex sight is another name for reflector sight. It is an optical device that is used to look through a partially reflecting glass element that has an illuminated projection or aiming point or some image that is superimposed on the field of view. This type of sight will allow shooters to place the red dot directly over their target. Compared to using iron sights, this places them at a much greater advantage. The same can be said for them when placed in high-stress situations. For example, if used in home defense, a reflex sight or a red dot will greatly increase the user’s chances of survival while the user experiences what is known as "threat focus". This is also ideal in situations where you are target practicing. You want to get each shot off with as much accuracy as possible. This will help you out in the long run if you happen to be a competitive shooter. When we think of eye relief, we think of scopes for rifles. Eye relief for pistol sights is also a beneficial thing. This means that you can position your head just about anywhere. At the same time, you can keep both eyes open while you can easily acquire your target. As mentioned above, if you're in a high-stress situation, having a reflex sight can very well save your life. You will have a good aim on your target should you ever have to use your pistol on an assailant or intruder. This is an excellent advantage to have over pistols with standard factory installed iron sights. Most of the time, your reflex sight will be powered by a battery. The battery life will be lengthy and will be used to power your sight. Your battery may be rechargeable or may need to be replaced, depending on the type of batteries used. The following are six pistol reflex sights that are considered the best on the market right now. Each of them is the best based on specified criteria. Once again, you should look at each one carefully as you determine if it is one you can see yourself using for your own pistol. Batteries are included in this model. Some users were happy with how tight their shot groups were. No off button can be found on this model. Battery life may not be as advertised (11,000 hours). Dot may be distorted for those who suffer from certain vision issues. Our first reflex sight up for review is the Burris Fastfire III. This just so happens to be one of the best overall sights on the market. The Fastfire III uses a 3 MOA dot reticle that is easy to see, regardless of ambient light conditions. Whether it's daylight or dusk, it doesn't matter; you'll still get a bright enough reticle to help you get a good shot off. The construction is durable and sturdy, which comes as no surprise since it is crafted from high-quality materials. The accuracy on this sight is quite impressive. And even though it’s small and compact, it’s large enough to allow you to group your shots. This feature alone might be unmatchable compared to other reflex sights. If you happen to be looking for a reflex sight that co-witnesses with your iron sights, you’ll probably want the Fastfire III to be your sight of choice. 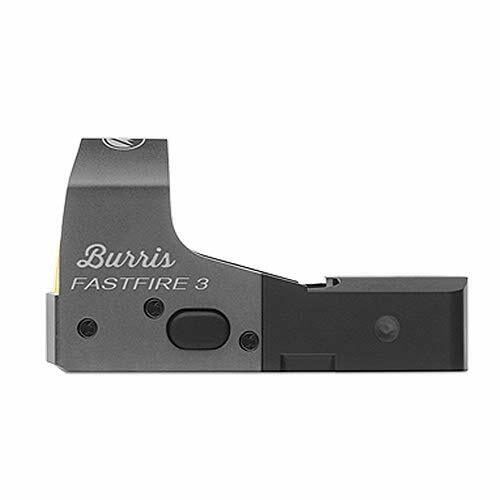 The Burris Fastfire III proves itself to be the top dog on the market in terms of reflex sights. Not only does it give you a good clear shot, but it's durable enough to last you a while. So, if your pistol recoils, the Fastfire is strong enough to take multiple beatings. If you're looking for a reflex sight that you think should be the last one you'll buy for quite a while, the Fastfire III might be your best choice. Picture is very clean and crisp. Controls are easy to operate and adjust. Can be used as a backup scope for rifles. May require some light sanding. No battery saving technology is included. May not be as durable as most sights; it may break if you drop it. 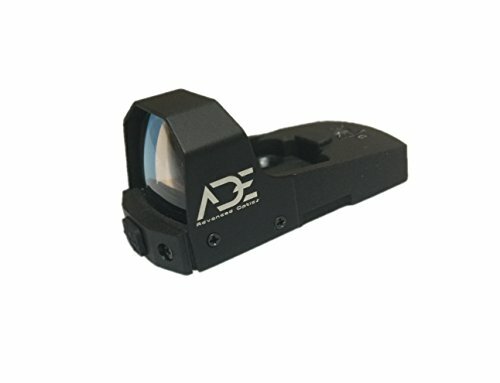 Next up is the Ade Advanced Optics Python. This sight is easy to use and fits perfectly with smaller handguns and pistols. The Python is small, compact, and perfect on pistols that have smaller chasses. Because it's small, it can even serve as a backup scope on rifles. 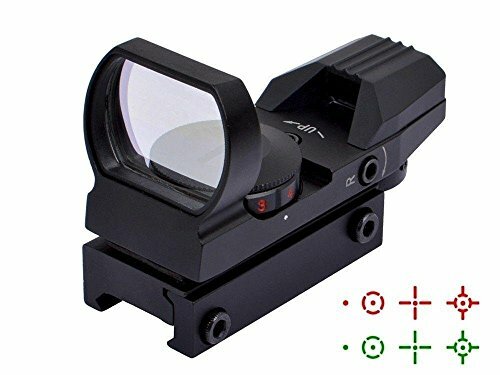 A reflex sight that is perfect for both pistols and rifles? You'd be a fool not to get two (one for each). But we digress. The dot set on the Python is 3 MOA and can be tuned to five different illumination settings. This sight also has an on and off switch that is located on the front of the sight. You can simply switch back and forth to power it on or off. On the side is an adjustment switch that you can use for windage and elevation. This sight has a precision-ground and polished lens. This is a plus for those that don’t want to deal with parallax. This type of lens will eliminate almost all of it should you encounter such a thing. Plus, you will get a crisp, clean field of view that might just set itself above the rest of the reflex sights on the market. Since the reticle is 3 MOA, you’ll be able to hit your targets accurately. The battery life will last you a good three months of constant use. Having a sight for a smaller gun is a must. And a reflex sight is what you’ll obviously need. If you want something that will fit the bill, you might be happy with the Python. If you have a rifle that needs a backup scope, you’re probably tempted to buy two. Either way, this sight is as good as it gets for smaller guns. Very clear field of view, an excellent reticle setting for very accurate shooting. You’ll probably end up calling this your favorite after you use it a few times. Easy to use adjusting dials. Mount is very easy to set up. Housing is crafted from aluminum, making it a very durable sight. May be a little too large for smaller pistols. May be a little pricey for those who are on a budget. Some reviewers have complained that the battery cover is not very secure. This sight comes with a Picatinny mount. Both that and the sight itself weigh a good 1.6 ounces. It's light enough to still work and is quite versatile as well. Not only will this sight fit very well with pistols, but it can also work along with larger firearms like rifles and shotguns. Fortunately for users of several varieties of firearms, this sight is easy to transfer from weapon to weapon. If you want a sight that fits your entire collection, you might end up buying multiples of this sight. The Vortex comes with ten pre-set brightness settings. These are perfect for shooting, whether it's during the day or during the nighttime hours. Not to be outdone, it also comes equipped with an automatic brightness adjuster that allows you to focus on target acquisition. If you're tired of fiddling around with settings for the purpose of better target acquisition, this sight will fit you perfectly. 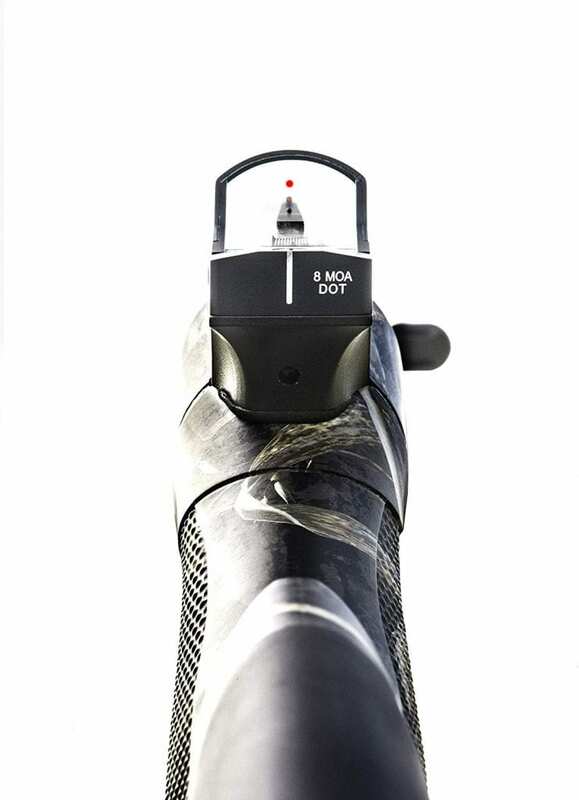 You will also get adjusters for windage and elevation, plus the battery can be changed via the top of the sight. The dot is set to 3 MOA, so you’ll enjoy shooting much more accurately during target practice and while you’re working with moving targets in the field. The battery will last you 30,000 hours in total on lower settings. On higher settings, it will last you 150 hours in total. The Vortex brand is best known for one thing: its long-lasting durability. So, it comes as no surprise to see that it was crafted in aluminum to ensure superior strength. Of course, with long-lasting products like this, it comes backed with a lifetime warranty. 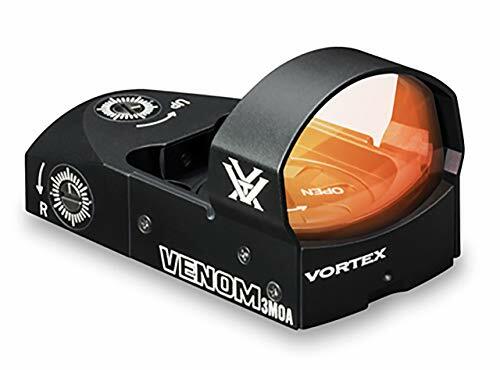 If you want a sight that will last you a long time, the Vortex will probably be your best option. Imagine a sight that will be the only one you'll use for years, even decades on end. Even after so many rounds, you can still see it get the job done. May need to uninstall it each time you clean your gun. May not be as lightweight as most sights on the market. Might take some getting used to when you start out with it. Browning is one of the most recognizable brands among gun owners and enthusiasts. So, it’s no surprise that anyone looking for a reflex sight would grab it because of the name alone. The name itself shouldn’t be the only basis upon which you choose the best reflex sight. Still, in this case, the brand name can be associated with performance. And it does perform quite well for those with .22 caliber pistols. Because it’s made in the USA, a sight like this has to adhere to some strict rules. And by strict rules, it doesn’t mean complying with states that have tough gun laws. This means that performance should be held to a higher standard. This sight is housed in aluminum, which of course means that it is strong, rugged, and can take quite a beating. So if you want one that will last you a long time or perhaps decades, you’ll probably want the Browning to be that kind of sight. It has a matte black finish, which is great if you want something that will reduce glare. No glare means a clear shot guaranteed. At the same time, the sight will be resistant to scratches and dirt. If you want the sight to work the way you want it, you can instantly make adjustments that fit you best. With so many adjustment options, so many users will appreciate this sight highly. Lastly, it is versatile and can be used for various outdoor applications. This is one of the best sights to use if you’re using your .22 for target practice. Browning has prided itself in being an excellent brand. And the quality of their products proves that they are a brand you can trust. If you're on a budget and want a super strong sight that can last a long time, you'll love the Browning. One thing to keep in mind is that if it's made in the USA, you'll know that you'll have a good sight on your hands. But don't let that be the only reason why you chose it. That said, if you go with the Browning, count on it being the only one you'll own for quite a while. The FOV is unmatchable compared to other sights. Reticle may get blurry at times. May not hold zero too well after a few hundred rounds. Screws might get loose, so make sure they’re secured tightly. Obviously, this is a sight for those who are on a budget but don't have a lot of breathing room to work with. If you're looking for a sight for under $100, you should consider the Feyachi. Here's why it's the best option that you can afford: for one, at 4 ounces, it's lightweight and compact. So you can literally carry this sight in your pocket. This is also a tubeless sight, so all the components that make this sight work will be located on the bottom. Since the space above is unobstructed, you’ll get an even more open view. This also comes with four different reticle patterns. This includes dot, circle-dot, crosshair-dot, and crosshair-circle-dot. Also, the reticle comes in both red or green, so you can change the color to whatever suits you best. With this sight, you get a good sized lens that measures out to about 33mm with a wide 15.8 at 100 meters FOV. If you absolutely have to be aware of your surroundings (and you should), this is going to be the best option for a reflex sight. That is something you probably would not have expected from a sight under $100. Finally, this sight is shockproof and waterproof. It also comes with a CR 2032 battery. If you need a sight that won’t break the bank, the Feyachi will be one of the best that you can afford. And remember, if you’re on a budget, find the best you can afford. Because the cheaper options may not always be good when it comes to quality. Not only is this the best option for those on a budget, but it's also a great starter sight. Yes, there will come a time when you'll have to make an upgrade. But for now, if you need a reflex sight just so you know what it is and how it functions, the Feyachi might just be the best choice for you. Excellent performance. A great sight for target acquisition and accuracy. Long battery life. Some reviewers say that the battery has lasted them years. Glass may be a little tinted. Pricey. May not be for those on a budget. Smaller viewing window. But may be due to the overall construction. Lastly, we’ll wrap this up with another brand that gun owners and enthusiasts know and love: Trijicon. The RMR Type 2 may be an expensive sight, but the way it performs is worth every penny. The reticle is set to 3.25 MOA and comes with 8 different brightness settings. Two of those settings are night vision settings and one is extremely bright. This means that you can use it in any setting, regardless of how low the light conditions are. The design for this model is quite rugged, so expect it to be durable and long lasting. The model itself is a top of the line model, so professional gun owners and enthusiasts will highly recommend this. If you want to use the red dot to improve your shooting and tighten your groups, you’ll love this sight. The Trijicon reflects the often good things many gun owners have to say about the brand. Sure, it comes at a price. But it will do its job brilliantly. Sometimes, it’s worth spending the money on something that will perform well and last you years in the process. If that’s what you’re looking for, get this sight. The reticle is probably the most important element of your sight or at least one of the elements that is of top importance. A reticle with a 3 MOA is designed to be great for those who hold accuracy to a high standard. The color of most reticles will be red. Some of them will be green. There are some that will have either color. You should choose the color that makes you feel the most comfortable. Almost all of these sights will run on a battery. These are typically located at the top of the sight. One of the things to look out for when it comes to the battery is the overall lifespan of it. Some batteries claim that they will last upwards of 10,000 hours or more. On some, the battery life will be much shorter if it is operating on a higher level of power. Some sights will be just right for most pistols. Others will often be designed for smaller pistols. Depending on the size of your weapon, you'll need to find a reflex sight that will fit perfectly. At the same time, it should be light in weight so it doesn't add extra weight to the gun itself. If you’ve zeroed something like a rifle scope before, you’ll know that zeroing a reflex sight is just like that. First, it starts with zeroing the iron sights. Once you’re finished, flip them down (if you’re able to) and then turn the optic on. Your manufacturer should have instructions on how you can zero your sight. While zeroing your reflex sight, ignore the iron sight altogether. Know that the iron sights are not zeroed to the dot, nor is the dot zeroed to the iron sight. If both are zeroed well, you shouldn’t have to worry about how they are in relation to each other. Finding a reflex sight for your pistol does not have to be a challenge. You should consider the six listed above and make the determination which one sticks out most to you. Sometimes, you might have to make a decision between one or the other. In that case, make a note of which feature stands out the most for each sight. Then make determine which one is the best for you and eliminate the other from your choice. Are All Reflex Sights Red Dot Sights? Short answer: No. 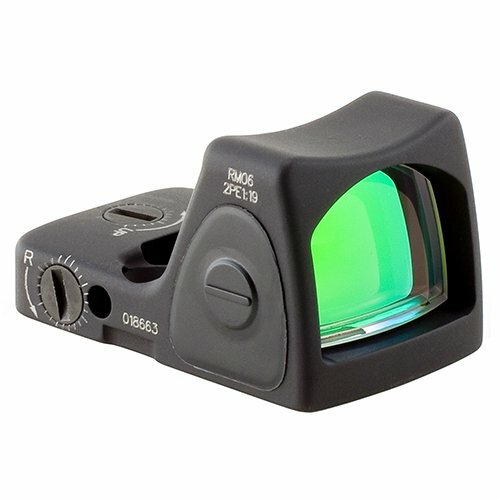 As mentioned earlier, sights are also available in green. Some of them will give you the option to choose either red or green. Either way, you should use a dot that makes you more comfortable. The obvious answer, of course, is to change them. When you're out in the field, it is important to have a fresh set of batteries on hand while you're using your sight. Can I Use A Reflex Sight With Other Weapons? It depends. Some reflex sights available can often double as backup sights for rifles. For example, the sights for smaller handguns have worked perfectly with some rifles and shotguns. They’re so durable, they can handle the strong amounts of recoil that you can get from heavier weapons.